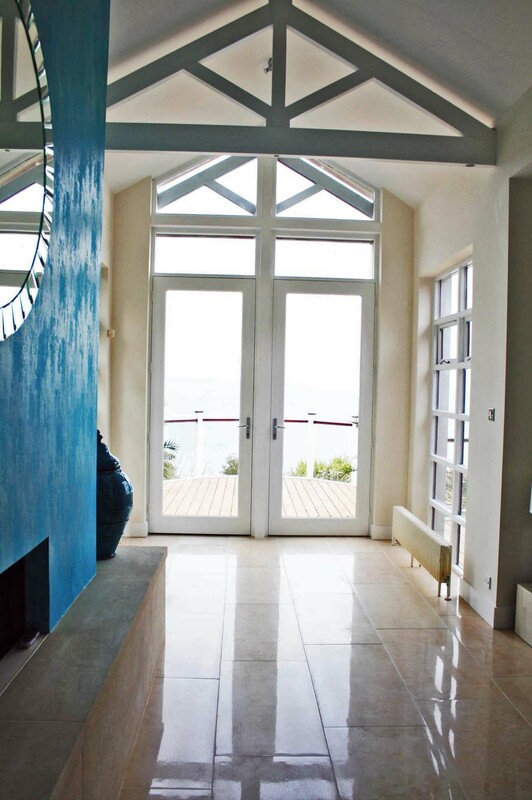 Refurbishment and extension of house on North Down Coast that was an early design by David Wilson. 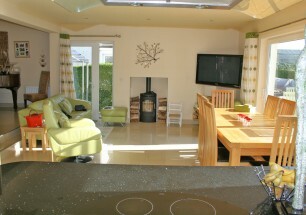 The dwelling was purchased by the new owners who contacted us to design the alterations. 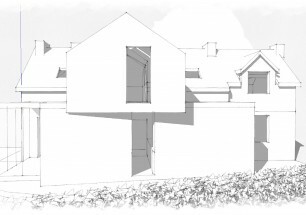 The original house was built off an existing foundation on the site with the ground floor elevated to take advantage of the sea views over Belfast Lough and the North Channel, raised decks were built over basement storage areas. The alterations involved the demolition of existing deck strutures to allow construction of a large gym, cimema and games room at garden level. 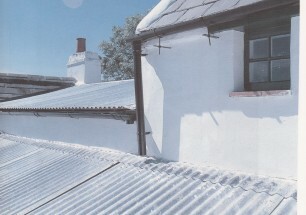 A third glazed gable was added to allow access to all levels including the Granny Flat over the garage. New timber decks were constructed on a flexible support system over the new PVC single ply roof membrane.